There is renewed and deep international concern about the catastrophic humanitarian consequences that would result from the detonation of nuclear weapons in populated areas. Yet 25 years after the end of the Cold War, nuclear weapons and nuclear deterrence remain central to the security doctrines of a significant number of states. 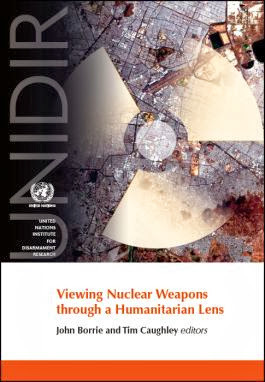 Drawing on a range of perspectives, the volume depicted above explores what viewing nuclear weapons through a humanitarian lens entails, and why it is undergoing such a revival. Recent developments in this respect are examined, as well as what these could mean for nuclear arms control in the near future. The new publication was launched at UN Headquarters in New York on 16 October 2013. To read it, use this link.